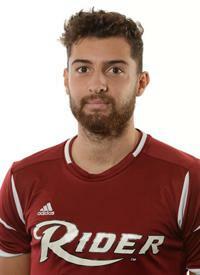 Sylvaine Coco is a Center Back entering his Redshirt Junior year at Rider, where he is coached by Charlie Inverso. This native of Nimes, France measures in at 6'3", 180 lbs. In 2017, he played in 16 games with 16 starts. During this season, he had 3 goals for a total of 6 points.